A tasty guacamole dip is usually the biggest hit of any party. You won’t go wrong with this authentic guacamole recipe to serve your guests during any party. As a bonus—learn how to make delicious guacamole chips, as well, that everyone can enjoy as they root for their favorite team. When it comes to authentic guacamole, you won’t find it in a jar, or mashed with mayonnaise. It’s full of fresh, natural ingredients blended to perfection. Every authentic recipe shares the same basic ingredients below My Latina Table, Genius Kitchen, Modern Honey. However, there is room for some added creativity of flavor if you want to spice things up. The first thing you’ll need are perfectly ripe avocados. This, by far, is the most important part of your recipe since avocados are the star. The entire dish depends on their delicious taste and this can only happen when they’re used at the right time. To know your avocados are ready they should be purple-black in color and give slightly when you gently squeeze them. If they’re too soft, and very black, you’ve waited too long and they won’t taste very good. On the other hand—if they barely give—making you want to squeeze them harder—they need more time. The skin shouldn’t have any green left on it. 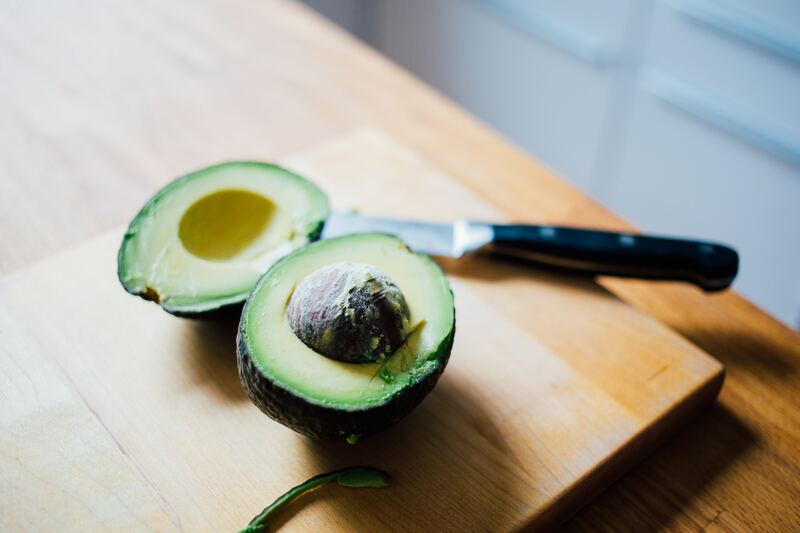 Even if you manage to cut through them and get the meat out, the flavor hasn’t had the chance to develop and that missing richness is what makes guacamole taste so delicious How to Select the Best Haas Avocados. So keep in mind that you have to either buy the avocados ready to go—which is often difficult—or prepare two to three days ahead of time to give them a chance to ripen. Placing avocados in a paper bag and putting them in the back of a dark cupboard really works to help speed up the process. I’ve seen white and red onions used in authentic guacamole. I usually prefer the white ones. You probably have your own preference when it comes to onions. If not, you can try both and see which tastes better to you. Onions should be chopped finely so their flavor blends well with the rest of the ingredients. 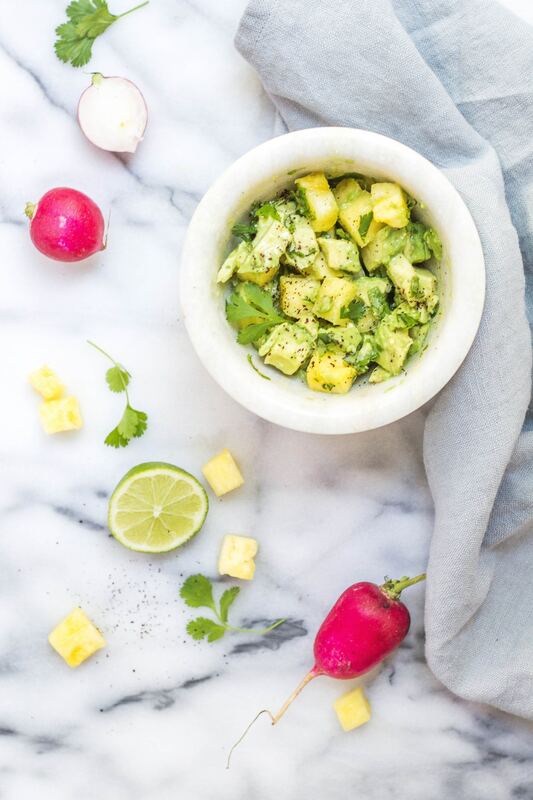 Cilantro is a key ingredient when it comes to any authentic guacamole recipe, giving it a fresh, slightly sweet flavor that goes well with the onions and tomatoes. 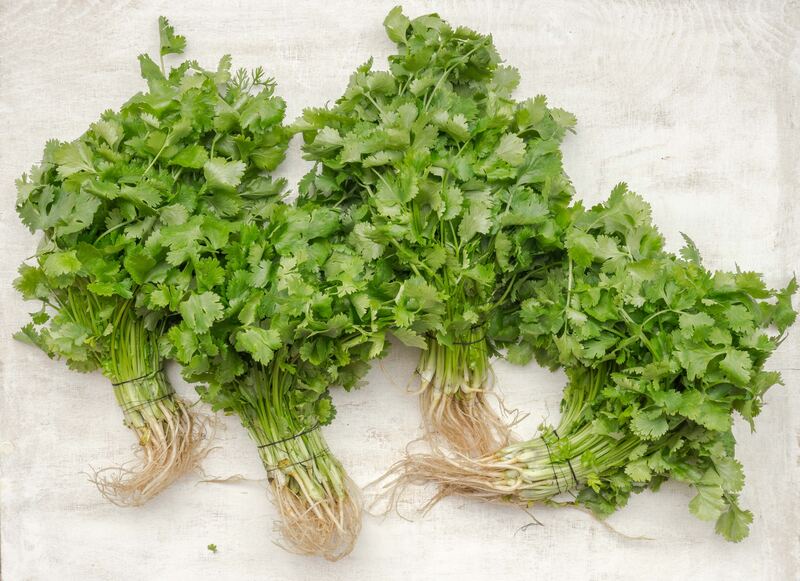 Make sure your bunch of cilantro is crisp and green, not wilting or limp. You’ll want to rinse with cold water and let it dry so that it doesn’t become soggy or mushy when you chop it. Some people leave tomatoes out. This is your choice, although most authentic guacamole dips contain them. If you hate tomatoes—by all means don’t put them in. Your guacamole will still taste delicious. Most call for Roma tomatoes, but I’ve used regular ones, as well. Usually Roma tomatoes have a richer flavor so if you can get them, they’re good to use. Just as with avocados, using tomatoes at their perfect ripeness can make all the difference. Tomatoes should be red and succulent—just the right firmness and softness. You don’t want them crisp when you cut through them or too mushy which means they’re over ripe. They should give a little more than the ripe avocados when you gently squeeze them, but not feel too soft in your hands. Dice the tomatoes, but not as finely as the onion. I had to put this obvious ingredient here since adding salt enhances the flavors in the guacamole recipe. Sometimes not having enough salt in your guacamole is the only thing keeping it from being phenomenal How to Make Guacamole. Of course you can add other seasoning I’ll mention below, but this is usually a vital element you don’t want to leave out. The following ingredients below are definitely part of an authentic guacamole recipe, however depending on the circumstances you may choose to leave them out. For example, using serrano or jalepeno peppers might make it too spicy for kids, or the elderly. Some people like the heat and some don’t. It’s okay not to use them if necessary. You can also control how spicy it is, too—more on this below. To spice up your guacamole and make it thoroughly authentic, add finely diced jalepeno or serrano peppers. 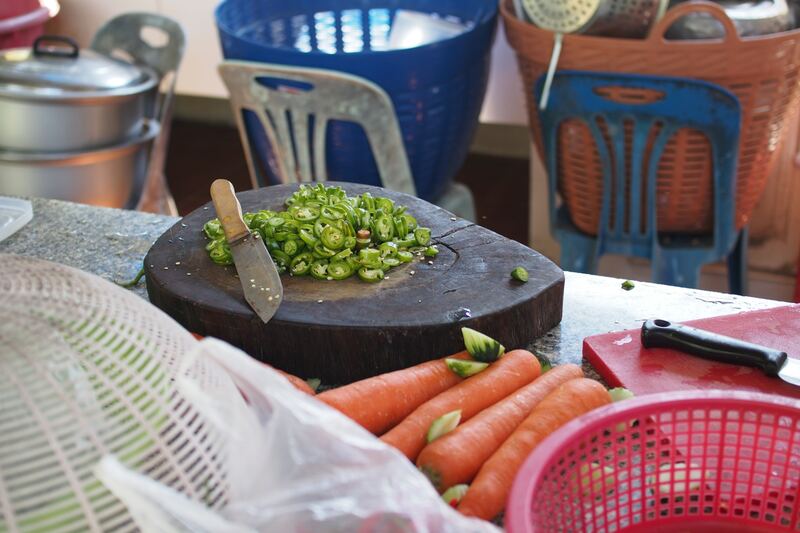 Most of the spiciness comes from the seeds, so unless you want it fiery, take the seeds and inside vein out. The texture of the seeds might bother some people when eating the dip so it’s probably better to do this all the time. You can decide how many jalepeno or serrano peppers you want to put in to limit or enhance the dip’s hotness. While some may choose to leave this ingredient out, it does add a fresh, tangy component that goes well with the rich flavor of the avocado. It lends the perfect amount of acidity to bring out all the flavors—much the way salt does. Therefore, you may be able to use less salt with the added citrus. Lime juice also prevents the avocado from browning. Putting the avocado pits in the finished product until served can help it keep its fresh color, as well. Make sure to cover it with plastic wrap when you put it in the fridge Keep Guacamole From Turning Brown. It’s always best to make your guacamole close to the time you’re serving it. The fresher the better. These are the essential components to any authentic guacamole recipe, but there are some additional ingredients you can use. You can add garlic powder—cayenne or black pepper—and even cumin to perk up your guacamole while still sticking to its authenticity. Cotija cheese, named after the town Cotija in Michoacan, Mexico can also be sprinkled on top of your guacamole Authentic Mexican Guacamole. Depending on the amount you need these numbers might change, but the proportions between them should stay about the same. Some recipes use as little as two avocados or as much as five. If you don’t have a molcajete to make your guacamole you may want to consider getting one. It helps blend the flavors even better. Make sure it’s made with authentic lava rock and is hand-carved. Other versions can leach unwanted toxins into your food A Word About Molcajetes . The great thing about a molcajete is that you can grind the onion, cilantro, chile, and salt into a smooth, green paste, releasing more of their flavors before mixing them with the avocados and tomato. You can try to achieve a similar affect by mincing them with a fork or using the bottom of a strong glass, pressing and turning to infuse their flavors in a bowl— then adding the avocado and tomato Mexican Food Journal. Sticking with the basic staples, you can’t go wrong with your authentic guacamole recipe. Just about everyone will love it and send compliments your way, as well as requests to know how you made it! Guacamole isn’t the only thing you can do with avocados. Try these savory avocado chips. They’re easy to make—full of nutrients—and taste incredible. Just like guacamole, the main ingredients for any avocado chip recipe are pretty much the same Avocado Chips, Keto Farms. But of course you can get creative and add more flavors and ingredients once you’ve mastered the basics, such as Mind, Body, Green’s Easy Keto Snack. If you need more just double the recipe. I’ve already doubled this recipe by Lena Abraham at Delish.com to yield about 16 chips . Mix all the ingredients in a bowl—blending well—then plop rounded teaspoons onto a baking sheet with parchment paper about three inches apart so they have enough distance and won’t touch. Flatten them down with the bottom of a measuring cup or a large spoon into nice round shapes. Bake them in the oven at 325 degrees for about 15-20 minutes until golden brown and crispy. They’re a delicious treat alone or to dip into your guacamole, salsa or cheese fondue. To change things up, you can add half a cup of bacon bits Avocado Chips With Bacon Bits—chop your own nitrate free version. You can also add 1/2 cup of flaxseed Vegan Avocado Chips or maybe try chia seeds instead. Two tablespoons of nutritional yeast Cheesy Avocado Chips (Vegan) can give you added protein, vitamins, minerals and antioxidants Benefits of Nutritional Yeast. It’s time for the big celebration with family and friends. Bring along these delicious recipes for all to enjoy and admire. Who knew eating healthy could be so fun? 5 Great Keto Pancake Recipes to keep you on track! Can I simply just say what a relief to find someone who genuinely understands what they are discussing on the net. Desta forma vemos amarelo Cores quentes. Ao todo curso tem 8 módulos de teor. Usually I don’t learn article on blogs, however I wish to say that this write-up very compelled me to try and do it! Não fiz programa completo do Q48 horas. info, but great topic. I needs to spend some time studying much more or figuring out more.